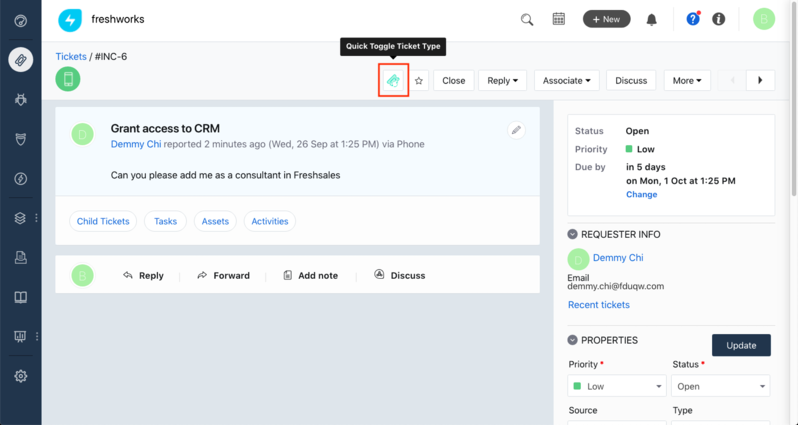 Quickly toggle the ticket type from Incident to Service Request and vice-versa. Using this app, an agent can quickly toggle the ticket type with a single click. The option to toggle the ticket type is provided as a dedicated icon in the ticket details top navigation area. 3. When you find Quick Toggle Ticket Type app, simply click on the icon and hit install. 4. You can start using the app now.